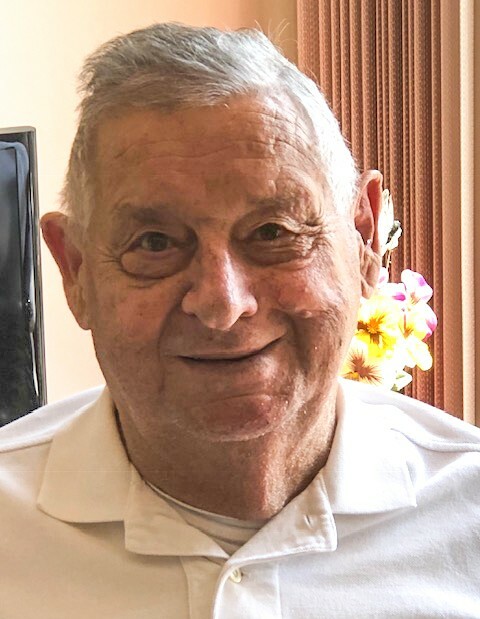 With love and much sadness we share the passing of Batista (Bap) Fogolin on Friday, January 11, 2019. Bap leaves behind his sons, Glenn (Karen), Larry (Mary Ann); daughter, Maureen (Gordon); grandchildren, Adam (Val), Brittany (Zach) and his great grandchildren, Kennadie, Asher, Everett, Rylie, Octavia and Nolan. He was predeceased by his loving wife, Joanna; brother, Elio; sister-in-law, Evelyn; sister, Agnes; brother-in-law, Norman and grandson, Derek. Bap was born in Fort William on May 11, 1928 to parents Antonio and Luijia Fogolin and grew up in the East End. In 1953 he married the love of his life, Joanna, and they spent many wonderful years together raising their three children. Bap’s greatest love was for his family, taking them on picnics, camping, fishing and supporting them in their sporting events. As Bap’s family grew, his love grew for his grandchildren and great grandchildren. Nono was very special to everyone and memories of family times will be cherished forever. Bap worked hard as a sheet metal worker and was recently honoured by the Sheet Metal International Association for over 70 years of service. After retiring at age 62, he and Joanna spent many years wintering in Arizona and was always happy to help other Snowbirds with handyman projects. Bap touched many lives and will be remembered for his strong work ethic, sense of humour, friendship and love of family. He was a loving husband, devoted father and very special Nono and Great Nono. We will always miss him and he will live on in our hearts. We love you! A private family funeral Mass has already taken place. If friends so desire, donations may be made to a charity of their choice. Batista Fogolin will be remembered in the Blake Funeral Chapel Memorial Grove. Annual dedication service Sunday, June 14, 2020.